My mini cheesecake recipe creates a dessert that is simple and elegant. 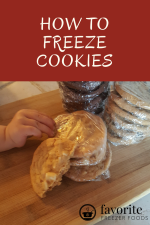 These are great to make ahead for a party. The individual portions are just enough to satisfy a sweet tooth and end a perfect meal. For a fun, festive look top each mini cheesecake with a different topping. Cranberry sauce is divine but any fruit sauce or jam is delicious. Or just serve them plain. Put 2-3 tablespoons of the graham cracker crust mixture into the bottom of 12 silicone muffin cups. Or, if you don't have silicone muffin pans use paper liners in a regular muffin pan. After evenly distributing the crust mixture press it firmly into the bottom of the cups. Mix the room temperature cream cheese until it's smooth then mix in the sugar. Next cream in the room temp eggs one at a time. After that mix in the vanilla and almond extracts. Scoop or pour the batter evenly into the 12 muffin cups. I like to use a #30 scoop. Fill two large casserole pans a third of the way with water and put the muffin pans in the water bath. Bake in this water bath for 15 minutes at 350F. Remove from oven and let cool in the water bath for 2 hours. Place the muffin pans in the freezer overnight. In the morning push the frozen mini cheesecakes out of the pan. Leave them in the fridge if you're serving them soon or wrap and freeze your cheesecake for later. 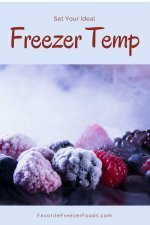 Thaw for 5-10 minutes at room temperature and top as desired before serving. This technique also works with flavored versions like my pumpkin cheesecake. Or swap freezer recipes with other foodies. Return from Mini Cheesecake Recipe to the homepage of your freezing food guide.